Milwaukee starter Junior Guerra may have pitched his way right out of the Brewers starting rotation. Guerra (6-9) gave up six runs on eight hits in just 1 1/3 innings to take the loss. He’s 0-4 in his last eight starts dating back to July 8. Jose Peraza clubbed a two-run homer in the first inning. It was one of his four hits in the game. Anthony DeSclafani (7-4) gave up four runs in 6 2/3 innings to earn the victory. In five starts in the month of August, DeSclafani is 3-1 with a 2.62 ERA. Christian Yelich homered twice in the loss, giving him a career high 25 for the season. Yelich has 10 homers in the month of August. The Brewers have now homered in 20 straight games at Great American Ball Park, the longest streak by any team at the park, which opened back in 2003. The Brewers send Freddy Peralta (6-4) to the mound in game two of the series tonight. Matt Harvey (6-7) gets the start for the Reds. The Milwaukee Brewers started slow, falling behind Cincinnati 2-0 but they eventually rallied to beat the Reds 5-2 in their series opener at Miller Park on Monday night. Chase Anderson coughed up a pair of solo home runs but settled down to pitch six-innings and earn his 8th win (8-7) of the season. Christian Yelich and Travis Shaw homered in the fifth and sixth innings, while Josh Hader and Jeremy Jeffress tossed three innings of scoreless relief. Brewers pitchers allowed the Reds just three hits. Eugenio Suarez and Phillip Ervin clubbed solo homers for the Reds. The Brewers handed Homer Bailey (1-11) his 11th loss of the season. Milwaukee added insurance in the 8th off of former Brewer Jared Hughes, who opened the inning by walking Ryan Braun. Keon Broxton came on to drive home Braun with a run scoring triple. Manny Pina’s sacrifice fly to center field ended the scoring for the Brewers. 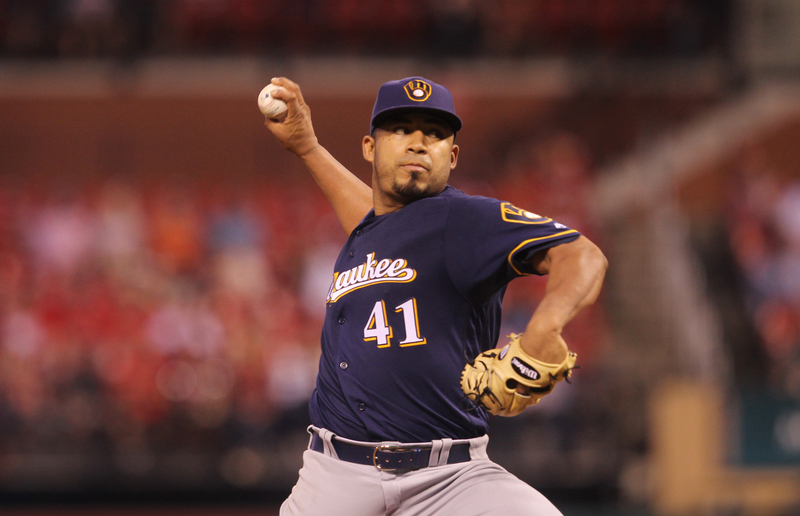 Junior Guerra pitches game two of the series for the Brewers tonight. Cincinnati will counter with Sal Romano. One day after being blanked by the rival Milwaukee, the Chicago Cubs responded by beating the Brewers 8-4 on Wednesday afternoon at Wrigley Field. Junior Guerra entered the game with a career 1.74 ERA against the Cubs, but he allowed seven runs and nine hits before departing in the fourth. Ryan Braun, who clubbed two home runs just one day earlier, left Wednesday’s game with a tight right ribcage. It comes after Braun had been swinging a hot bat. He had been hitting .388 with four HR’s and 12 RBI over the last 16 games. The Milwaukee Brewers finished their eight game road trip out west with a 5-3 record and they’ll take it. But they finished with two straight losses, including Thursday nights 21-5 blowout loss to the Dodgers. The Dodgers had 18 hits and clubbed seven home runs. Brewers starter Jhoulys Chacin (10-4) gave up three of the long balls, allowing eight earned runs and not making it out of the fifth. The 21 runs scored by the Dodgers is the most ever scored against a Brewers team. With the hits and runs piling up, manager Craig Counsell once again went to a couple of position players to mop up, Hernan Perez and Erik Kratz. The Milwaukee Brewers were denied a four-game sweep following an 8-5 loss to the San Francisco Giants at AT&T Park on Sunday. 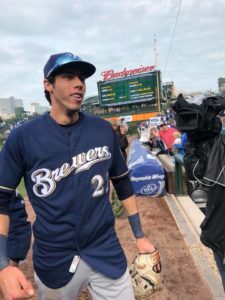 The Brewers got off to a good start when Christian Yelich singled in the first and Ryan Braun homered for a 2-0 lead. Junior Guerra held that lead until the third when he walked the bases loaded and served up a bases loaded double. The Giants would end up scoring four times in the third and three times in the fifth off of reliever Matt Albers. Hernan Perez and Travis Shaw also homered for the Brewers, who took three of four in the series. Guerra fell to 6-7, allowing five runs on five hits with three walks and five strikeouts. With the Cubs winning in St. Louis on Sunday night, the Brewers trail the Central Division leaders by a game and a half. The Brewers open a four-game series against the Dodgers in Los Angeles tonight. Freddy Peralta (4-2, 3.74) pitches for the Brewers. Kenta Maeda (7-5, 3.27) goes for the Dodgers. First pitch time is set for 9:10 p.m. The Milwaukee Brewers improved to 2-2 since the all-star break, knocking off the Washington Nationals 6-1 in their series opener at Miller Park on Monday. Christian Yelich clubbed a three-run triple in the sixth inning to bust open a close game. Erik Kratz also drove in a pair of runs to back Jhoulys Chacin, who improved to 9-3. Chacin allowed a run on two hits in 5 2/3 innings, striking out nine and walking nobody. It’s the second straight outing for Chacin without issuing a free pass. Washington’s only run came on a Daniel Murphy home run to start the second inning. Josh Hader, Brandon Woodruff, Dan Jennings and Jacob Barnes combined for 3 1/3 innings of scoreless relief to close out the win. 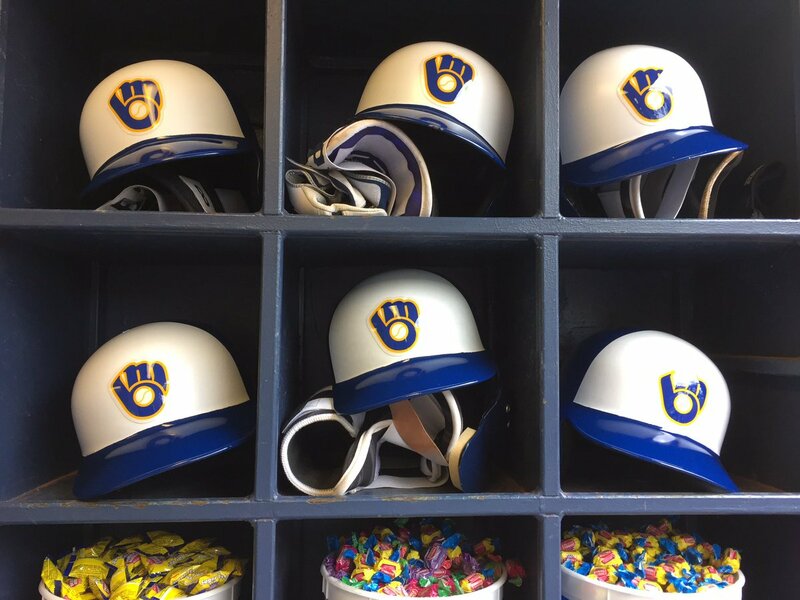 Junior Guerra and two relievers combined on a two-hitter as the Milwaukee Brewers blanked the Minnesota Twins 2-0 at Miller Park on Tuesday. Guerra struck out eight over five innings for the win. Josh Hader then worked three innings and Corey Knebel closed it out in the ninth inning for his 9th save. Eric Thames belted a two-run homer in the fifth inning for the Brewers, his 12th of the season and third in the last six games. The Brewers have now homered in nine straight games, which is a season high. They have 14 home runs during that nine game stretch. The franchise record is 20 games, which was set back in 2008. Christian Yelich also returned to action, being inserted as a ninth inning defensive replacement in left field. Yelich was back in action for the first time since leaving in the first inning last Thursday at Cincinnati. Chase Anderson (6-6, 4.18) gets the start for the Brewers in the series finale on Wednesday afternoon (3:10 p.m.) at Miller Park. Jose Berrios (8-6, 3.52) goes for Minnesota. The Brewers start the day with a full one-game lead over the Cubs, who beat the Tigers 5-3 on Tuesday. Brad Miller drew a bases-loaded walk in the 10th inning on Monday night, sending the Milwaukee Brewers to a 6-5 win over the Minnesota Twins at Miller Park. The Brewers surrendered a grand slam for the third straight game and trailed 5-1 before mounting their comeback. Nate Orf, playing in his first major league game, was hit by a pitch from Zach Littell to lead off the 10th inning. Manny Pina followed with a single and Keon Broxton walked. Hernan Perez than bounced into a fielder’s choice before Miller’s walked ended the game. 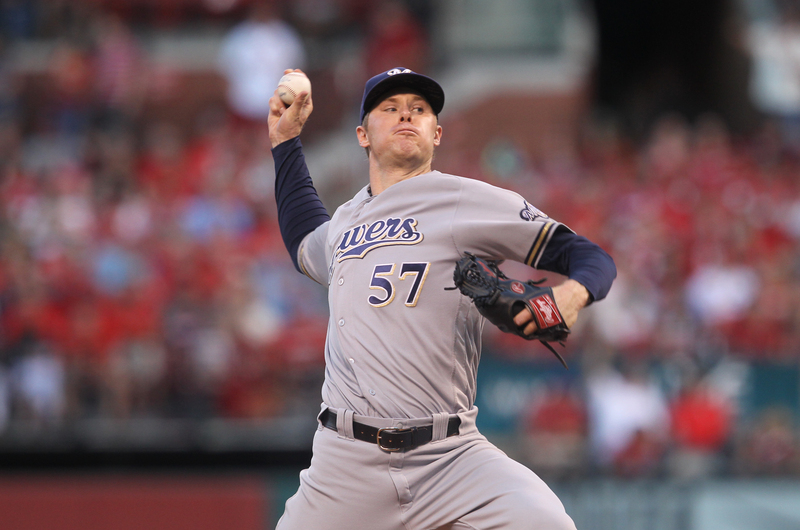 Corey Knebel (2-0) pitched a scoreless 10th for the Brewers to earn the victory. The Brewers got five scoreless innings from their bullpen. Game two of the series is tonight at Miller Park. Junior Guerra (4-5, 3.05) pitches for the Brewers. Former Brewer Jake Odorizzi (3-5, 4.62) gets the start for the Twins.